History - STARKA. Jakość tradycji. Starka’s production history has lasted more than 500 years. This is a traditional noble drink for which Poland was famous in Europe during its golden age. It was not a common alcohol, its production was beginning at the birth of a son in a noble court. Then, an oak barrel with alcohol was buried in the ground where it was aged until the marriage of the young noble. Only on the day of the wedding the mature spirit was dug out and the guests were treated with. Therefore, primary Starka was a wedding alcohol, and its age depended on the bachelorhood of a young man. Currently, the original Starka is produced in the basement cellars of Szczecińska Fabryka Wódek “STARKA” Spółka z o.o.. It is poured into oak barrels of various sizes, and is aged for at least 10 years. At this time, it acquires a noble bouquet, refined taste and natural color. This unique gold brown color is gained by Starka in natural reactions with oak wood rather than by the addition of coloring agents. The unique crown among Polish drinks requires precision and accuracy, as it is capricious, and the time it takes to acquire its value does not facilitate the production process. Just small fluctuations in temperature or humidity are sufficient to make the drink lose its flavor, bouquet and aroma. A group of qualified specialists and technologists supervises the whole process, in order to keep Starka’s quality. Thanks to this, every connoisseur appreciates the values of this noble drum and can be assured of its constant high quality. Starka is a liquor whose history is 500 years long, but it is very possible that its production was was started earlier than reported by official sources. To this day, its recipe is carefully guarded and passed on to the next generation of the best Polish distillers. Thanks to that, today we have the opportunity to drink the highest quality Starka, which impresses not only the domestic fans of this spirit, but also the people living outside our country. You just have to try Starka once, and then you cannot forget about its amazing bouquet which was shaped by long but sometimes difficult history. Starka is produced only from the highest quality rye spirit, which is determined by laboratory tests and confirmed by issue of a certificate. It is not possible for spirits to be the base of this amazing drink without qualitative research. A sample is chosen for the final production that offers the best chance of achieving good results in aging. The “raw distillate” which has previously been diluted to approx. 60% by volume, is subjected to preliminary aging. Water for dilution must be specially prepared and treated in the reverse osmosis process. This has a huge impact on Starka’s later color and clarity. The preliminary aging is carried out in large wooden vessels and lasts approx. a year. It is during this process that Starka gets maturity and a bouquet of flavors is formed. The appropriate proportion of the oak wood used for the construction of barrels and other containers in which the liquor is stored is very important in this case. It is also important to have a harmonious relationship between temperature and humidity. 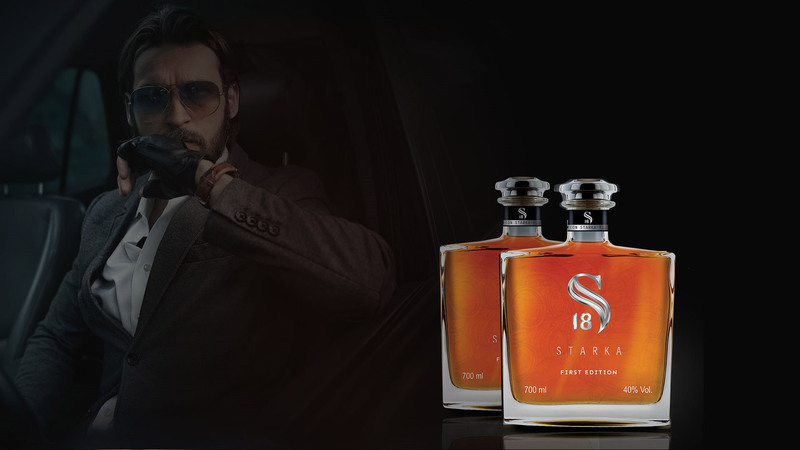 Other ingredients, which are responsible for the unusual taste of Starka, are added to the rye raw distillate. They are a secret and only few distilleries in Poland have access to the list of all ingredients. During this time, the whole mixture ingredients permeate each other and harmonize. It is very important that this process runs smoothly, because it is just now when the final effect of the production is shaped. Thanks to this Starka is clear. It consists in submitting the liquor to negative temperatures. The accurate methods of clarification are closely guarded secrets, just as all the ingredients Starka is made of. The tempered alcohol warmed up to ambient temperature, is bottled into unit packages and delivered to the shops, delighting all the lovers of noble liquors. The whole process lasts from 18 to even 70 years. 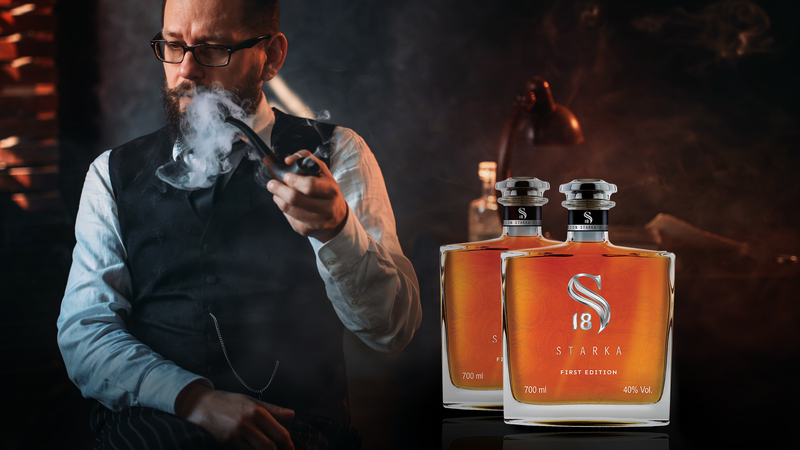 Just the time and the proper wood are responsible for the noble taste of Starka appreciated by all connoisseurs of the best vodkas and brandy.